5 Ways To Promote Recycling.. No? Malaysians need not separate thrash until 2013. Huh? That was my first thought. What kind of statement is that. Malaysian should start separating their thrash immediately. Well, at least you should start practicing. So when the real day comes, it will flow smoothly without hiccups. But I actually have a problem with this. I mean, I do separate my trash. But after that, WHAT? Well, here are my two sen..
Have a specific day to collect specific trash. ie: Monday – only for glasses. Tuesday – paper, etc. Bring back that campaign and encourage the public to be part of the “Aluminium Cans for Cash”. But have easy places for people to bring it to – like shopping malls, etc. I know some of you may suggest putting those brown, orange, blue (recycling) bins at more places. It just doesn’t work, beb. Most of them (especially at the shopping malls) have basically garbage in all the bins, regardless of the color. People are just lazy or ignorant to figure that out. So, how now? Well, I think workplaces could try out recycling days or something. First week collect papers. Second week collect glass, then tins and then plastic. And assign people/group/dept to be in charge of each type to send them to the recycling centres. Ok? I. If Ayah was still around, he would have been 66 today. Al-Fatihah Ayah. There is so much that I would want to share with you. But this is the life. II. With all the commotion and dissatisfaction, I would still like to congratulate the underdog for the recent success. Janganlah buat fitnah… Aku tak kenal sangat Ana, tak kenal langsung pun sebenarnya… tapi bila aku baca statement ni, aku rasa sangat² tersentuh. “Sangkar pun DIY, mana dapat modal beli juri professional…” Sobar yo, korang. III. Baby number 3 will be 11 months this month! Yeay. He can call out IBAU.. AYAH.. and some other gibberish that I have yet to make out. He is already walking and half running. But we have yet to see any teeth. In terms of development he is so much like his brother except for the walking part. (Afnan walked at 13 months, I think). IV. Shahnaz kena tukar Kementerian. Jauh plak tu. Kat KL. Hahaha.. macamlah jauh sangat. Aku sedih sebab masa mula-mula masuk sini, dialah dalam group yang mula-mula lapor diri dulu tu. Mula- mula kami 8 budak itam. Satu kena tarik Intan, tinggallah 7. So, yang tujuh ni lah.. sekarang dah tinggal 6. Tapi sebenarnya sekarang kat sini dah ada 12 budak itam (OZF), kalau masuk Shahnaz. Tapi dua orang pun baru je tukar gak. Jadi sekarang ada 9 je lah. I don’t know why I am so out of things to write. Will try harder next time. Selain daripada dipanjang usia dan rezeki untuk dapat menambah amal ibadat di bulan ramadan tahun ini, ada beberapa perkara yang ketara (significant) untuk aku ingat. 1. InsyaAllah dapat puasa penuh juga tahun ni macam tahun lepas. (ada dua hari lagi ni). Adakah perlu mengandung lagi tahun depan untuk dapat 3 tahun berturut? Oop! 2. Tahun ni 4 hari berpuasa (3 hari berbuka) di hospital. Anak bongsu saya kena acute bronchiolitis. Sian dia. 3. Hari tu tukang jahit kata tak sempat siap baju untuk raya. Kain yang saya bagi bonda mintak tolong hantar pun dia hampir lupa. Tapi sempat hantar gak. Ingatkan tak siap, jadi saya beli sepasang dah siap. Tiba-tiba, semua baju siap di jahit dalam ramadan. Oh jadinya pertama kali saya ada 5 pasang baju kurung raya baru. 4. Kalau tahun-tahun terdahulu, biasanya mesti ada sekali berbuka beramai-ramai dengan semua adik-beradik. Tahun ni, tak berjaya nampaknya. Masa Dino balik, Dik Am kerja. Ada masa tu, saya kena balik kampung sebelah suami. Hmm.. sedih. 5. Tahun ni juga merupakan tahun pertama anak kedua berpuasa. Dia akan berusia genap 6 tahun November ni. Alhamdullillah, berjalan dengan baik kecuali beberapa hari yang terpengaruh dengan rakan sebaya. Tak sampai 5 pun yang tak berjaya tu, insyaAllah.. yelah ada dua hari lagi ni kan. 3 termasuk hari ni. Okaylah untuk pembaca yang tak berapa ramai ni (kalau ada) Selamat Menyambut Aidil Fitri. Semoga kita dipanjangkan umur dan dibanyakkan rezeki, dapat berjumpa lagi Ramadan pada tahun hadapan. Insya Allah. BFM is Malaysia’s Business Radio Station. They talk mostly about business and economics and sometimes some current affairs. No hollywood gossip. Sometimes they play great 90s rock music but mostly saya kurang berkenan. These are the little things I learned when listening to one of the segments: The Breakfast Grill. MAHB has oil palm and coconut plantation. Mamee ceased operation in China due to imitation issues. They said it’s a losing battle. What does wimax actually mean. These are just the little few that sticks in my head. I like their breakfast grill especially with people or brands or products that i am familiar with. Of course most of it becomes trivia to me, but it certainly makes me go, “oh, interesting” when i heard it. And probably could make others say the same when I mention it.. heheh. Nampak macam aku intelligent, kan? So, take some time and listen to BFM and perasan intelligent. I know u do, Kak Dilla. Well if you do, u have got to try out Babycakes. Nicole Lynn and her sister, Valentina’s sweet delicacies. they are definitely nice on the tastebuds. Crispy thin crusts, and soft chewy middle with sweet and sticky variety of fillings to choose from. If you haven’t had one, you are missing something. There are 3 other flavors: Green Tea, Lemon and something that I forgotten. Sorry. 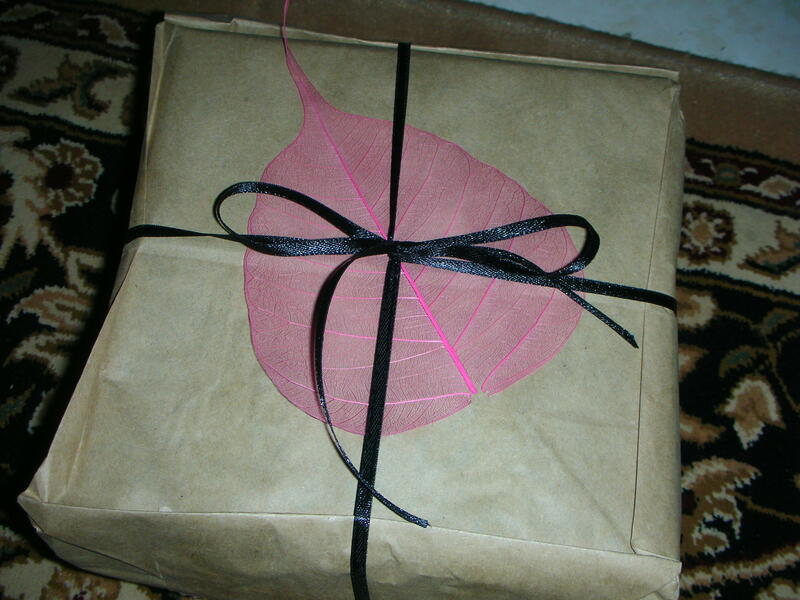 Though they do deliver to Putrajaya, I figured it was easier to have it deliver to Mr Suami’s office. However, he apparently didn’t realize how fragile it was, so when I received them, some were cracked. My search for macarons started when I chanced upon Aunty Yochana’s blog. But I have never tasted any macarons, therefore I don’t really know how macarons should taste like. But once I had a bite of Babycakes macarons, I know I am bought. I admit that I have a hell of a sweet tooth. My favorite of the 5 is definitely Salty Caramel. It seems that if not for the filling, macarons taste rather mendatar. Not really bland.. but can’t find the right wordlah. So this salty caramel has an edge with its salty taste. So does strawberry with its sour taste. If i were to name it, I’d call it Strawberry Sorbet, because that’s what the texture and taste remind me of. Then comes chocolate with its slight bitter taste. 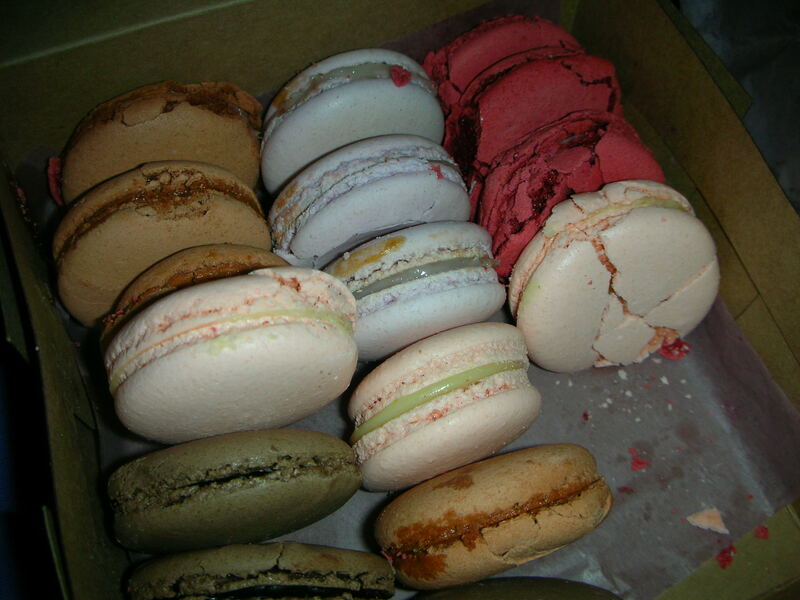 But the macaron seem more fudgy compared to the rest. Red velvet is inspired the red velvet cake, of course. It’s filling is cream cheese and nutella. And last Orange. Ok, this is so not my favorite because somehow the filling tastes a bit like panadol syrup to me. And the most mendatar of the lot. I was expecting a tangy and sour taste, but not there. But that’s just me. You, my friend, have to try it own your own. Give a Nicole Lynn (012-219 0069)and Valentina (012-524 6877) a call or drop by their store. 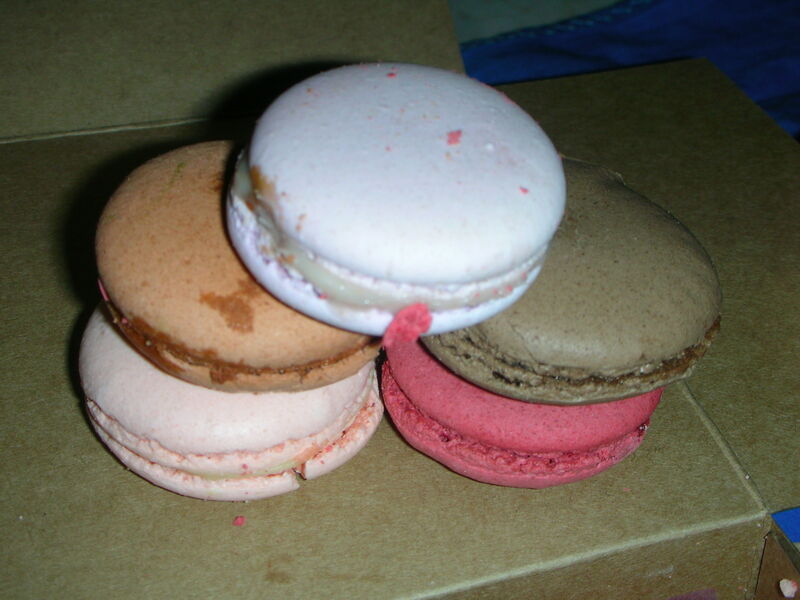 And cik masak-masak aka boo_licious has a post of where to get macaron around town. Guess what.. it’s Wednesday again. Alhamdullillah, things were on schedule last week and hopefully today too. In fact, we were early today even though I woke up late. Thanks to Encik Suami whom helped with the bekal. Tq, tq, I love you. Anyway, if you didn’t know, it’s 18 days away till my EDD. And quite frankly, I am not that prepared. I feel like a first timer all over again. And recently, I had to help babysit my 3 month nephew and it certainly felt like a amateur. I mean, when was the last I had to go through this.. oh, that was what, SIX YEARS ago?!!! OMG. Hahahahaha. A lot of people asked why I waited so long, and even though I could list all the reasons and seasons, there isn’t really any. So guys help me out here, what is it that I need again to prepare for the delivery and welcome the baby at home ya? Yes, yes.. laugh all you want, but I admit it.. aku macam blur. Except I definitely still remember that labour pain, and it is certainly not something I look forward to, thank you.